Rubella (Rubella virus) under a microscope! 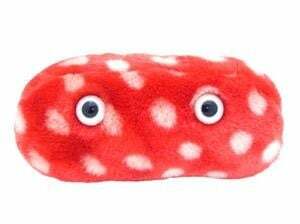 It would be rash not to get the vaccine for this "Little Red" virus. Makes a useful educational tool for medical and health care professionals. Your purchase supports NFID in its mission to educate the public and healthcare professionals about the causes, prevention, and treatment of infectious diseases. To learn about vaccines to prevent rubella, click here. Unfortunately, while rubella normally poses only minor risks to healthy individuals, it can be very dangerous to unborn children infected in the womb. If rubella is contracted in the first 20 weeks of life, a rash of devastating consequences can occur including heart disorders, mental retardation, deafness, blindness – and even death. However, the good news is that since 1969 a vaccine has been available which can provide protection against little red rubella. While children who get the vaccine may already be out of the woods with respect to the most dangerous phase of rubella infection, the protection conferred by the vaccine still spares them the unpleasant encounter – and of course, as community-wide infections are reduced, exposure to the virus in general is naturally more limited. The name comes from the Latin root word, meaning “little red” to describe the red rash it causes on kids. 30 to 35 nanometers – that’s 3 million times smaller than a smart phone! 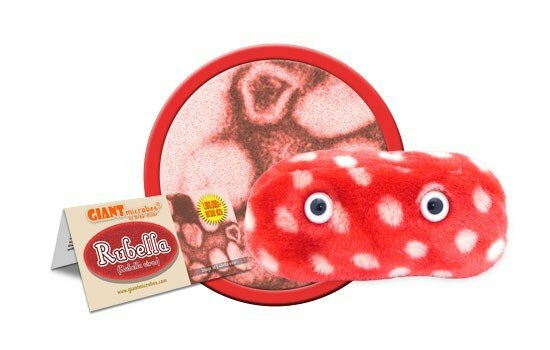 Rubella is a highly contagious disease caused by a virus. It spreads from person to person through coughing and sneezing. 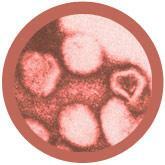 It’s sometimes known as German measles, but don’t let the name and common symptoms confuse you. It’s not the same as measles! Causes fever and rash that lasts for 2 or 3 days. Kids can sometimes experience swollen glands and aching joints. Women who catch it during pregnancy can pass it to their babies and cause birth defects or miscarriages. There is no cure, but the Measles Mumps Rubella, or MMR, vaccine is recommended to prevent the spread of all three diseases. The disease was first discovered in 1938 by Japanese scientists, Hiro and Tosaka. The virus wasn’t identified until 1962 by Parkman and Weller. 1964: 12.5 million cases of rubella spread across the U.S. and resulting in tens of thousands of birth defects. It’s been eliminated in the U.S. since 2004. Globally, rubella cases are still reported in high numbers so the vaccine still plays an important role in prevention.